Spring is such a beautiful season, isn’t it? The days get longer, the sun gets warmer, and flowers start to bloom. It’s such a wonderful time of the year. I spent the first long weekend of Spring making room for all the wonderful things I love about this season. Keep reading to find out what 5 things I love most about Spring! One of the best joys of Spring is all the beautiful flowers that are coming into season. Each weekend, I make a habit to stop by different local florists to pick up my favourite flowers. This past weekend, I stopped by Kingston Road Flower Market and purchased bunches of roses and ranunculus to be enjoyed during breakfast. And in terms of breakfast, since Spring reminds me of a ‘fresh’ start, I prefer a simple bowl of yogurt blended with fresh strawberries and topped with Handfuel’s Antioxidizer or Vitalizer Mix. I’m often inspired to try new recipes during this time of thw year. The co-founders of Greenhouse Juice, Emma Knight and Hana James recently released their first cookbook – The Greenhouse Cookbook, and it is absolutely refreshing! The book is packed with plant based recipes and DIY juicing how-to’s, it’s the perfect book for those (like me) who wants to incorporate plant based meals into their regular diet. The first recipe I’ll be trying is Spiralized Zucchini Mac and Cheese with Oat Crumb Crust! 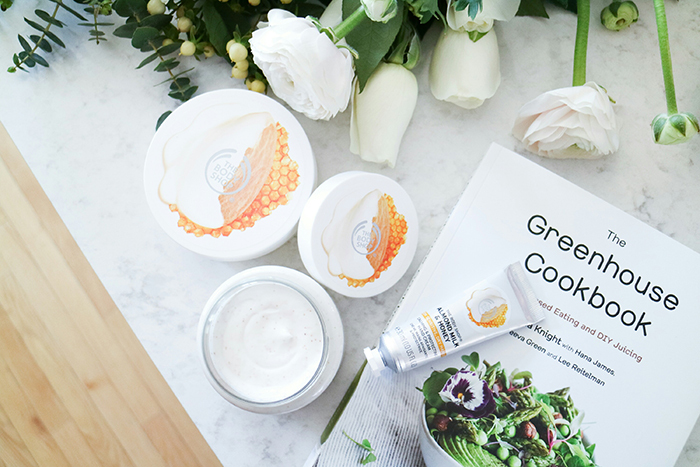 Aside from trying a few new Spring time recipes for renewing from within, I also love nourishing my skin due to the harsh winter weather we’ve just endured. The Body Shop released Almond Milk & Honey Body Care which is made for sensitive and dry skin. 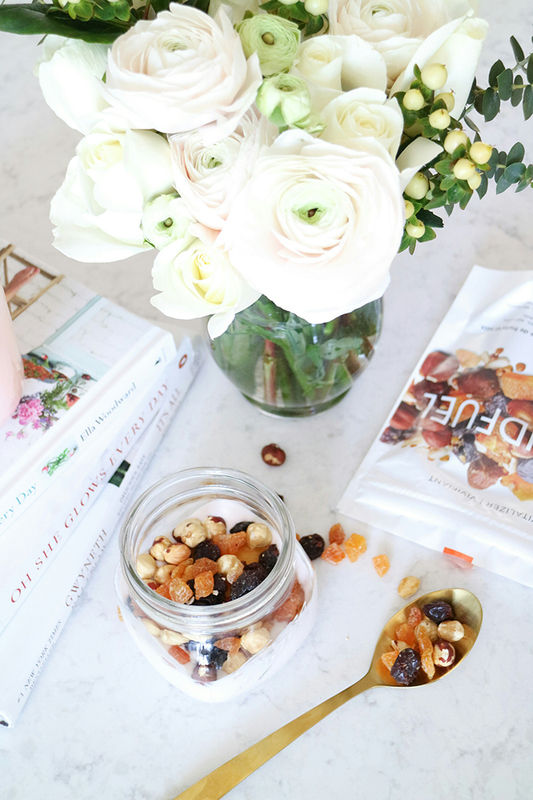 Each product is enriched with organic almond milk and almond oil, making them the perfect companion to a plant-based diet! We love entertaining outdoors during the warmer months. We started to clean up our terrace and brought out our outdoor furniture to gear up for patio picnics. And what’s better than popping a bottle of chilled prosecco to go along with an afternoon of food and drink? I’m so thrilled to introduce the launch of La Marca Prosecco in Canada. 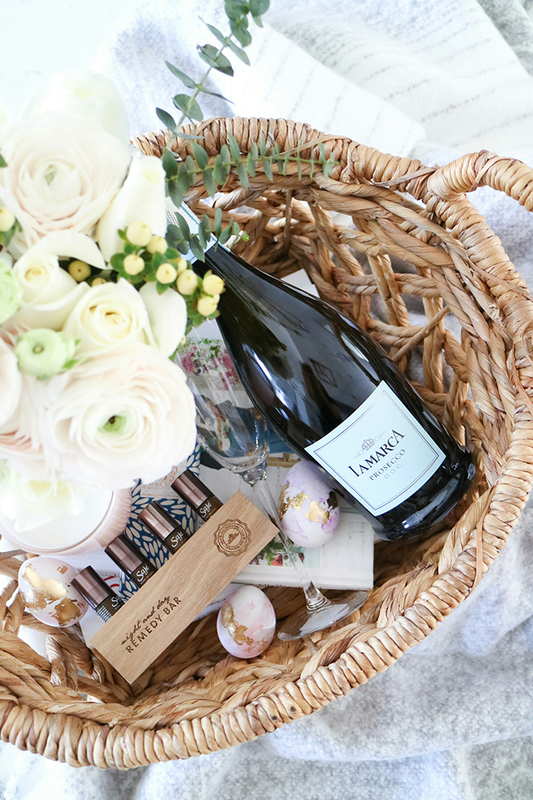 This bottle of prosecco is wonderfully delicious and under $20! I’m also delighted to share that I’ll be partnering with La Marca Prosecco the next several months, so be sure to check back and follow along on Instagram to see what surprises we’ve got in store and yummy cocktail recipes to come! I’ve shared before that I’m not much of a baker. But the extra daylight that we’ve been experiencing lately has really encouraged me to tackle a few dummy proof baking ideas. I recently got my hands on a jar of PC Black Label Lemon Curd and oh man… it’s life changing!!! 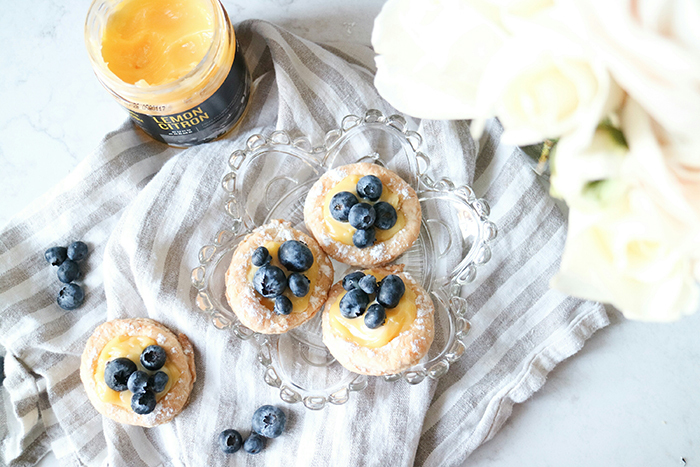 For some reason, Spring and lemons go hand in hand for me, so these mini lemon curd puff pastries are super timely and the perfect afternoon treat. I’ll be posting up this recipe very soon! And lastly, with extended sun exposure means a higher risk for skin damage and aging. Right around this time of the year, I love trying out new beauty and skincare products. 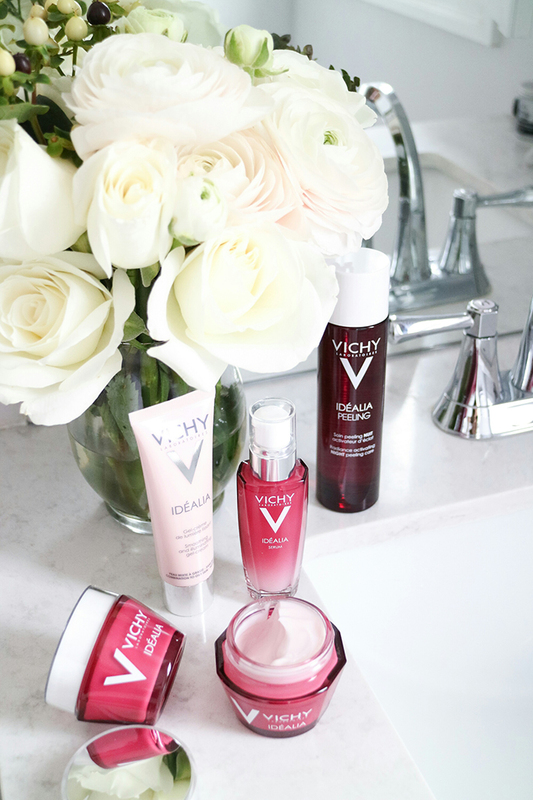 Vichy Idéalia is a new line that is targeted to treat fine lines suitable for those who are in their 30s (ahem… I’m just about to turn 34 in a few weeks!). Idéalia is supercharged with antioxidants, powered by blueberry extract, fermented black tea extract and Vichy Mineralizing Thermal Water. This collection is equipped with day and night time repair products.